This celebrity couple news has us feeling so happy for Meghan! What are some ways to show your love for your partner publicly? 1. ‘Gram it: Social media is the main place everyone takes their relationship. 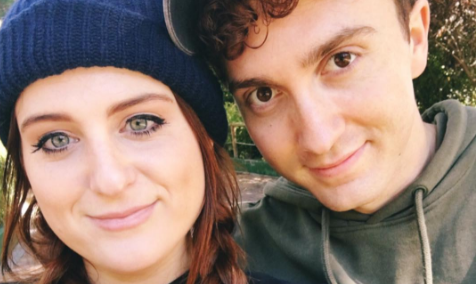 Whether it’s making it Facebook official, or posting a cute selfie like Meghan Trainor on Instagram, many people will see the love you have for your partner. So share the love, and get a few “likes” for it. 2. PDA: When you’re out with your significant other, hold their hand, kiss them on the cheek, and just do little public displays of affection that warm your partner’s heart. Don’t overdo it; no one wants to feel uncomfortable, but don’t be embarrassed to show your partner off! 3. Say “I love you”: Don’t be afraid to exclaim your love with words in public. You may not be able to announce it to a huge crowd at a concert like Meghan, but saying your love out loud is a cute gesture. You may even get a couple of “awwws” from people passing by. How have you shows your love for your partner publicly? Comment below!